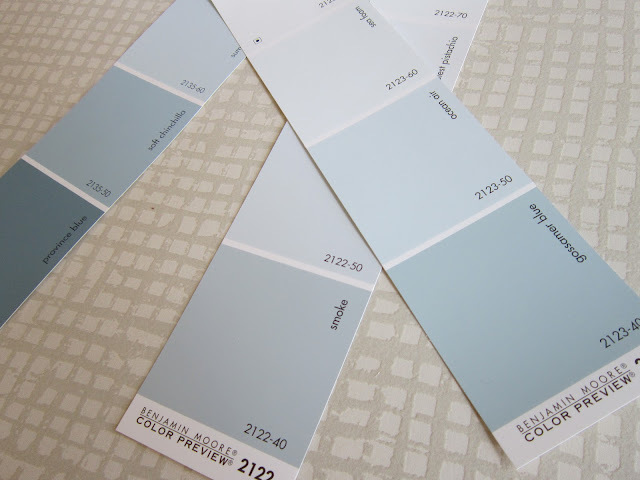 Have you ever painted a room only to find afterwards you really didn't like the color? Here's the best way to pick a paint color you'll be happy with. Select several cards from the store to take home and look at in the room you are painting. One reason this is important is because the lighting in your room will be different than the florescent lighting in the store. After choosing your top three or more favorites, get small sample containers of each paint color. These will either be ready-to-go or your paint store can mix them for you. 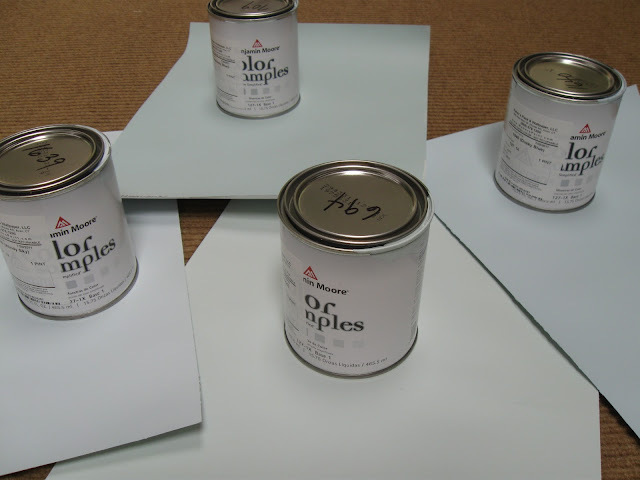 Paint each color on a piece of tag board or foam core and be sure to mark each board with the name and number of the color. Here I used smaller boards since I was working on a bathroom but on a larger wall, I would use a larger sample board. 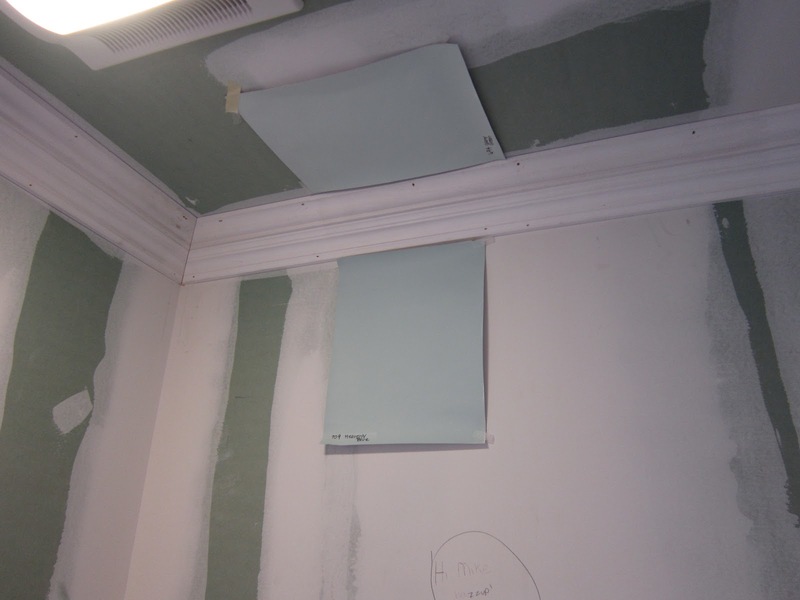 The nice thing about these sample boards is that you can move them around the room. In a bright area near a window the color will look totally different than a dark corner where there is little light. 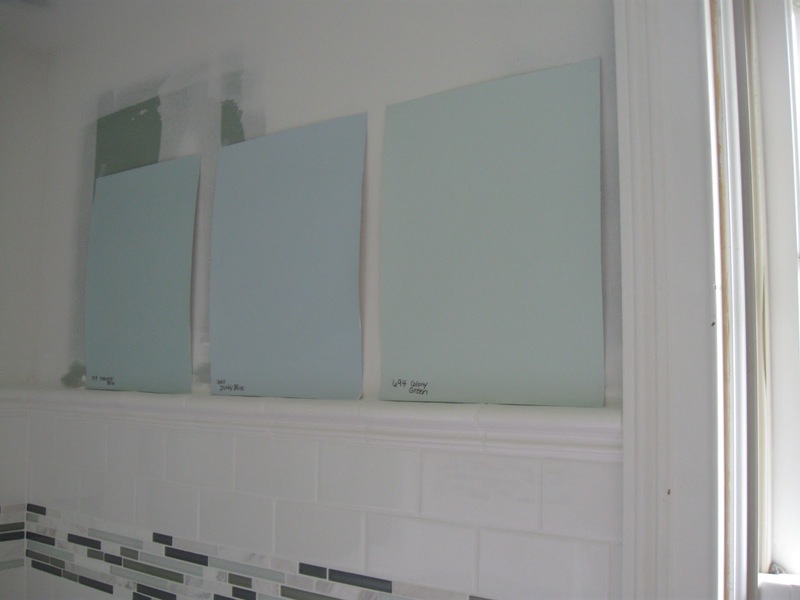 For this bathroom remodel we decided to go with the blue/green shade for the walls since it worked best with the beautiful glass accent tiles. 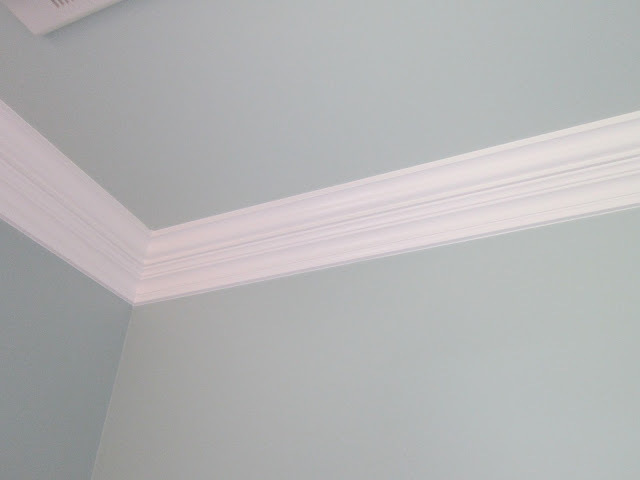 To accentuate the beautiful crisp white crown molding, we used a slightly lighter color to paint the ceiling. I'm currently working on bath accessories to add the finishing touches so stay tuned for a peek of the finished remodel! I just painted my living room and dining room a color very similar to these, this past Sunday. From what I've seen on your blog you have impeccable taste, so I feel further justified in my choice of colors now! You are too kind! Thanks for writing.